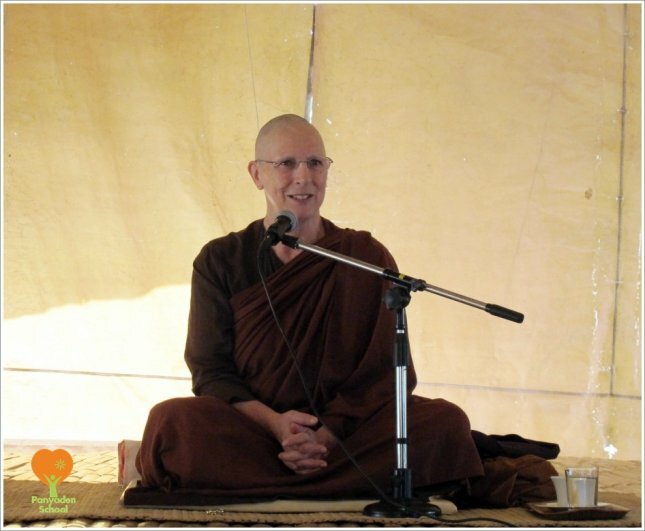 Born in France, Ajahn Sundara was one of the first four women novices ordained by Ajahn Sumedho in 1979 and has been living the monastic life for 37 years in the UK, USA and Thailand. She participated in the establishment of the nuns’ community in the UK, and for the last twenty years has taught and led meditation retreats in Europe and North America. She will speak on the topic ‘Hopes, Dreams and Expectations’. The talk will be in Thai and English. For more information, please call 080-078-5115. This entry was posted in Featured Posts, Upcoming Activities and tagged Ajahn Sundara dhamma talk, Panyaden.